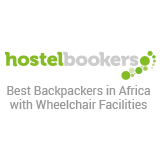 Jollyboys Backpackers was the first hostel in Zambia and has been catering to budget travelers since 1996. 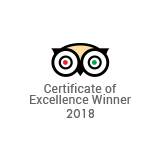 Still owner run and managed, we pride ourselves on great service, up to the minute travel information and catering to the unique needs of our clients. 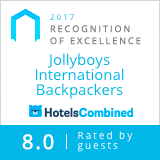 Our second location, Jollyboys Camp, opened in 2008 and is a great option for families and groups. Whether you are into bungee jumping or rafting or just relaxing under the mango trees, we'll be here to point you in the right direction. 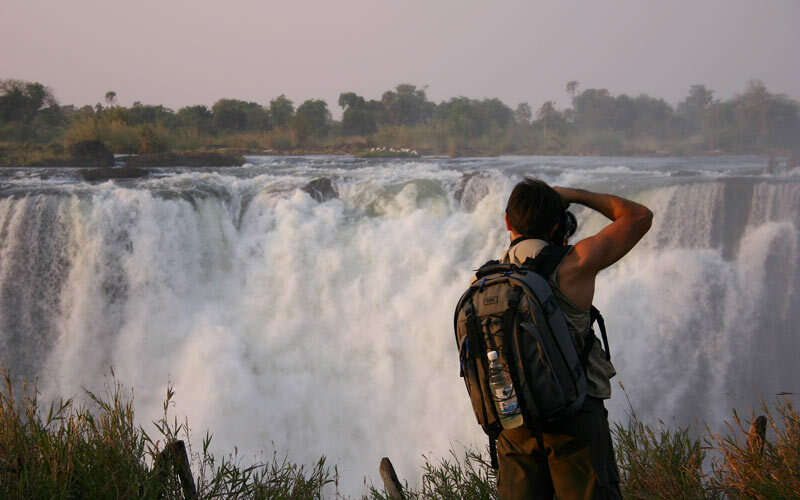 Our Travel and Activities Desk is renowned for up-to-date travel info and have some of the best value safaris, activities and combination packages around. Please don't hesitate to ask us questions about Livingstone, Zambia or the surrounding area and feel free to Skype or email us for advice! 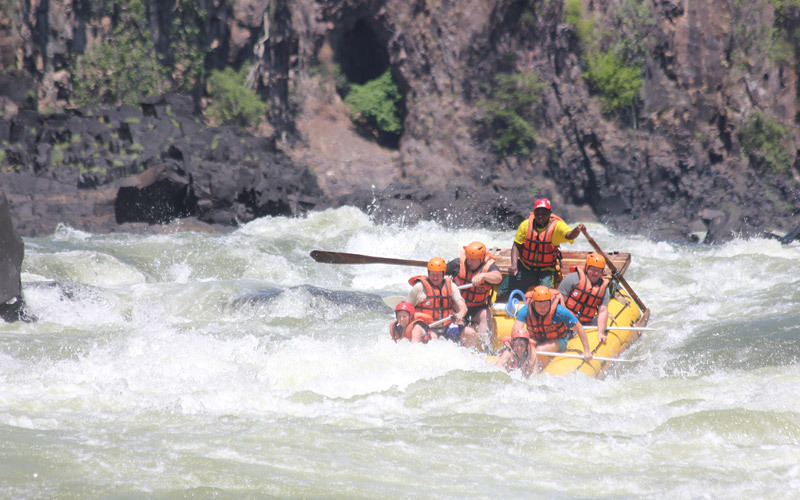 What to do during your stay in Livingstone? 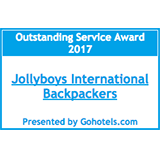 "Jolly was one of the best hostels we stayed. The have everything you need to stay one or more nights: a kitchen, bar (where you can also order meals), tv corner, movie night, swimming pool and a friendly staff. A big Spar supermarket is on a 5 minutes walk. The bathrooms are cleaned more times a day. 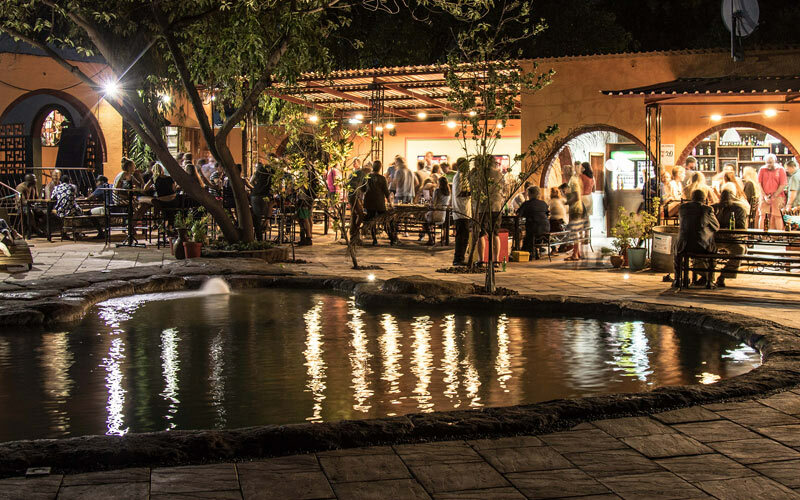 If you visit Livingstone, take Jolly's." "Best place to stay. 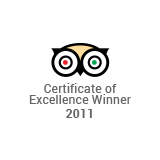 Well organized, nice swimming pool, room are clean and comfortable, excellent staff. They organize daily trip around the falls. We had a super Sunset Cruise in the Zambesi River. Probably the best place in Livingstone!!!!" 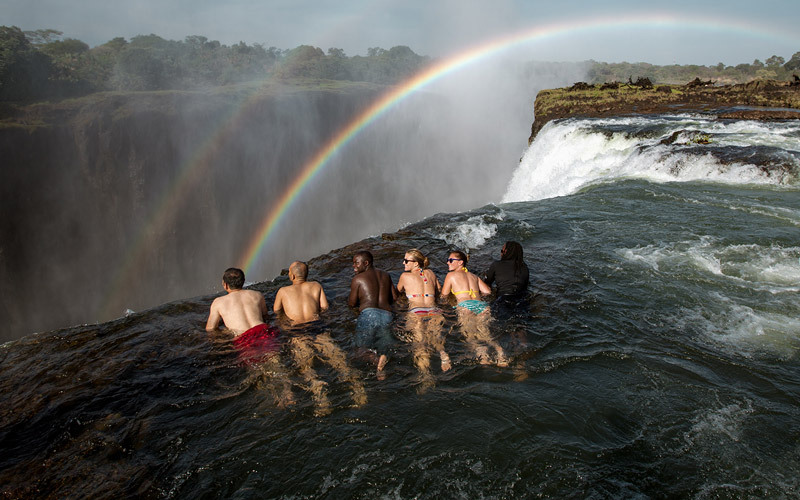 "I only had a few days to explore Livingstone on my own, and loved the friendly atmosphere at Jollyboys. Great to meet so many different people and be able to head off various adventures with different groups of people. Much more fun than staying in a hotel." 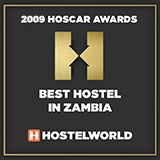 "This was a great hostel, great location, only about 10-20 minutes from Victoria falls and Livingstone Airport, close to the main street. The dorms were clean, as well as the facilities. The bar/restaurant was good, very basic menu, but served its purpose. The staff was great, very knowledgeable, very friendly." 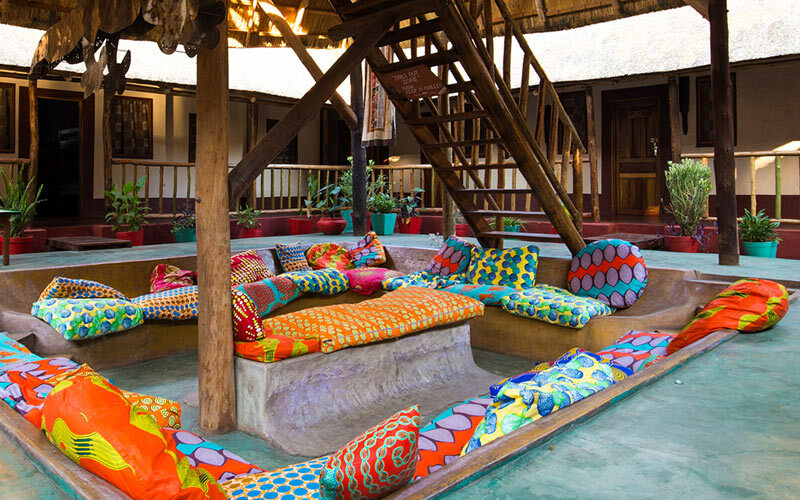 "One of the best hostels I have ever stayed at. Very clean, great staff that is determined to make your stay unforgettable, variety of activities, nice travelling crowd. In short, I had absolute no complaints and would definitely return. Thanks a lot! " "It is a place when one feels so delighted and comfortable the moment you step into the gated compound! Very much like a warm and inviting home especially around the sitting areas by the bar, restaurant and swimming pool. " "The staff was friendly and very helpful. The restaurant/bar served very delicious and affordable burgers, breakfast wasn't bad either. Wife says smoothies were great too! 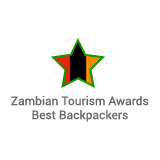 The place is very affordable, very clean and professionally run. You could really spend the entire week there without leaving the premises, their pool is clean and their beer is cold. Your feel extremely safe! Keep up the great work!" "I really enjoyed my stay with the Jollyboys. 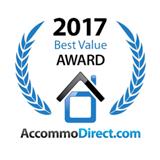 Apart from the various options of accommodation from dorms with shared toilets to ensuit rooms, they also offer very nice tourism packages. Try the sunset boat, value for money. The backpackers is also well located, easy access to the city center." 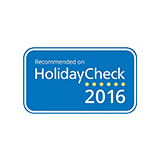 "Stayed in the honeymoon lodge and bed was comfortable and well ventilated. The common area and pool were a great place to mingle with fellow travellers. Staff were friendly and helpful with planning activities. Free shuttle to the falls daily at 10am was handy. A perfect backpackers with everything you could need."